The dust hasn't quite settled from NYCC, but Marvel keeps the announcements coming. On their website over the last two days, they are teasing two new events coming in Summer 2015: Civil War and Age of Ultron Vs. Marvel Zombies. 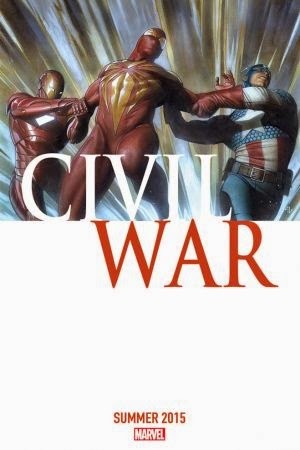 For Civil War, Marvel failed to drop more information, but did release an image of Captain America and Iron Man on each side of Iron Spider, pulling him in a tug-of-war. The image is reminiscent of the 2006-07 event, with the same style used on books published in that crossover. This image of Iron Man and Captain America, however has a different style of uniform than the same characters announced for the Superior Iron Man or Captain America titles, spinning out of AXIS. 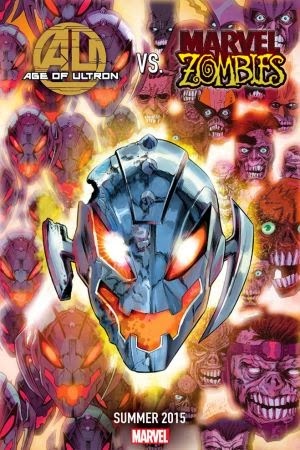 The Age of Ultron Vs. Marvel Zombies tease looks to capitalise on some of the hype building out of Marvel's next big cinematic release, with the movie Avengers: Age of Ultron hitting cinemas in May 2015. Check out the releases here and let us know your thoughts about this latest announcement below.